This blog post is sponsored by Burrow. All thoughts and opinions are my own. I’m just going to put it out there… I keep buying the wrong kind of furniture for our family. Over and over again. It’s either too stylish and not practical. Too cheap practical and not enough style. For whatever the reason, I can’t seem to get it right and its SO frustrating. Isn’t she a beaut?! I am the biggest midmod fan and I loved the retro vibe of this sofa. Another thing too, it didn’t look as stiff as other modern century sofa’s appear to be. I wasn’t sure though. I buried (haha, get what I did there??) myself in that site and researched this product to see if there was anything that stood apart from other places. What I found when I was lurking researching this brand, is that they have a very honest vision and unique design that is pretty stellar in my opinion. One neat feature (there are so many) of this sofa is that you can customize the frame into a sofa chair, love seat, or a very comfy large couch. Also, the variety of colors are just soo gorgeous! There is a hidden charging port underneath the couch. I KNOW, freaking cool! 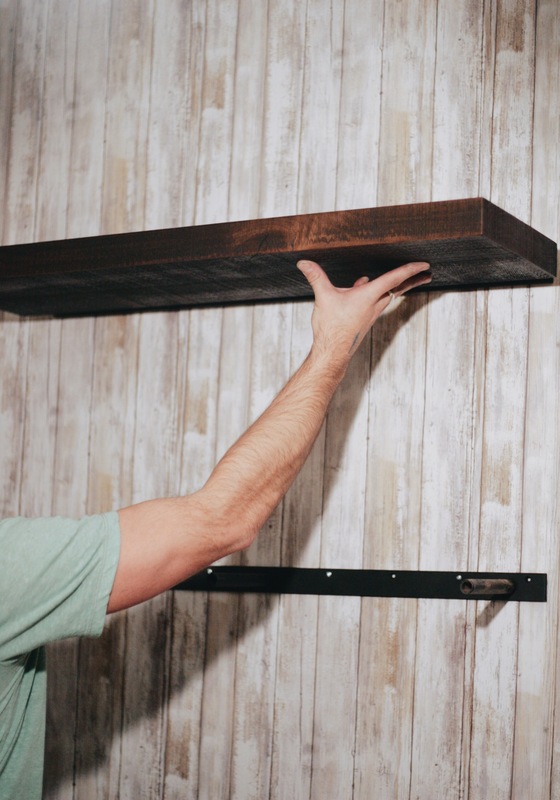 Designed, crafted, and shipped by us. We work directly with all of our factories, which means we’re able to ensure the integrity of the entire production process. And by skipping retailers and shipping directly to you, we remove the industry standard markup, and even include the cost of shipping. I am such a big fan of what this company is doing and how they’ve designed a great product at such an affordable price. Oh and did I mention it ships in separate boxes?? 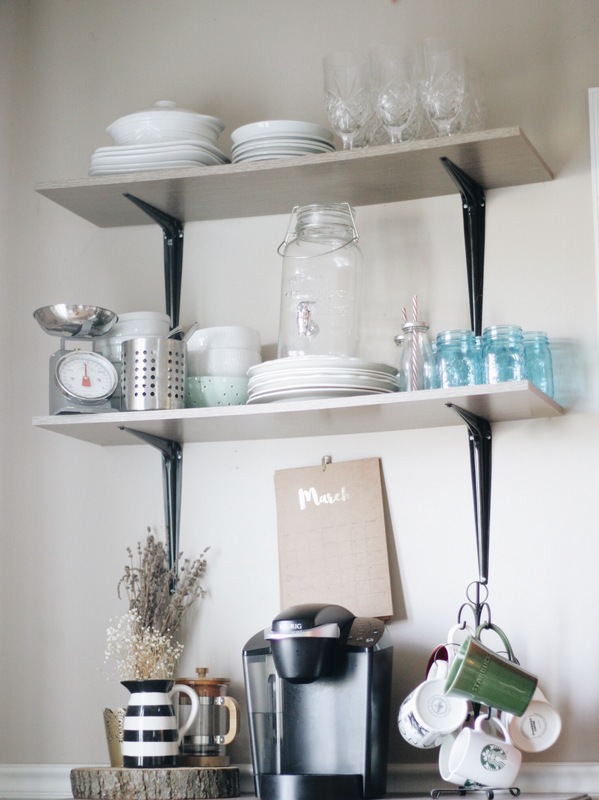 For those of you in smaller spaces, or wanting to carry it upstairs, this is fantastic news. You don’t have to break your back, yay!! Super easy to assemble and when in doubt, there’s an incredibly helpful video to follow in the set up process. Because I want to sweeten up your Friday, my buddy who works over at Burrow, gave me the inside scoop on a $50 promo code (if you’re in the market) COZY102, enjoy!! Happy Friday, cheers to the weekend! 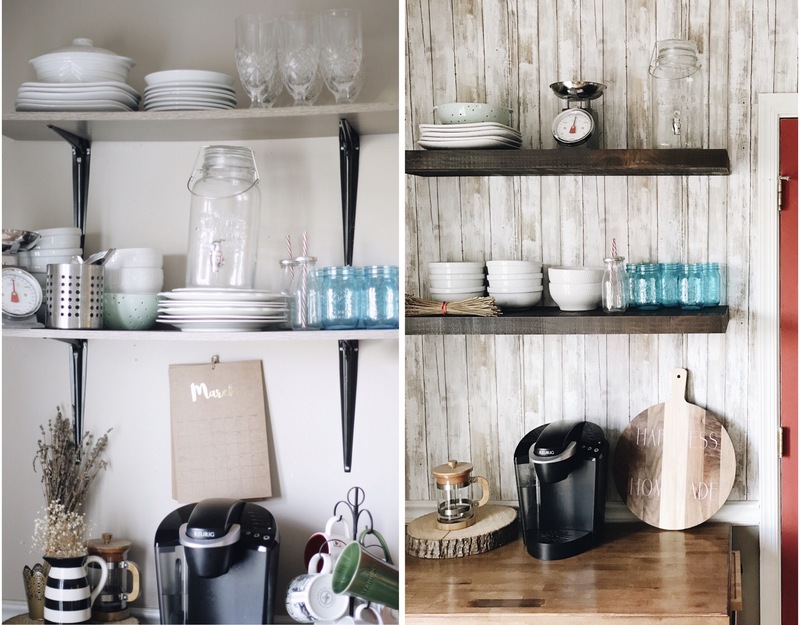 Guys, our pitiful kitchen shelves FINALLY got a make-over! 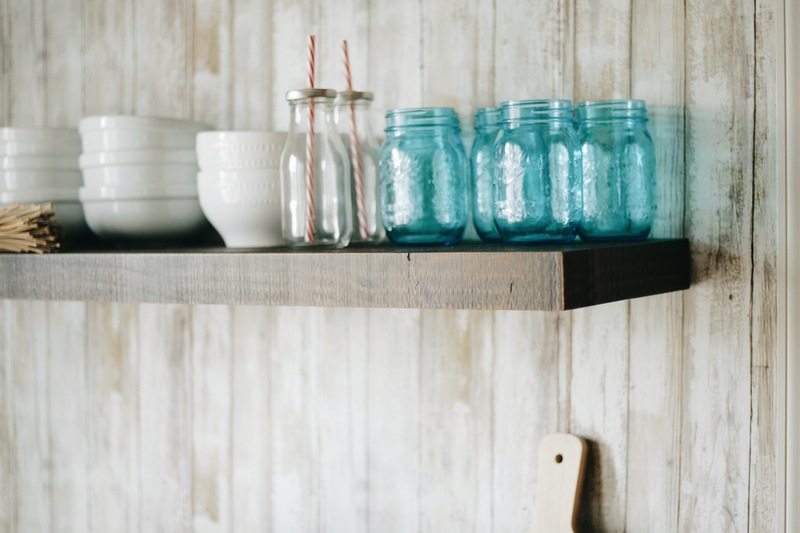 I’ve always loved the whole, exposed shelving vibe… but we had done it all kinds of wrong. We bought the wrong types of brackets, wrong kind of wood, it was a disaster from the very beginning. It looked decent for a couple of months until the cringe worthy warping, began. It was slight, but it bothered me to no end. If you don’t believe me, take a look for yourself. You can really tell on that top shelf, it was like this sinking situation, dead center. 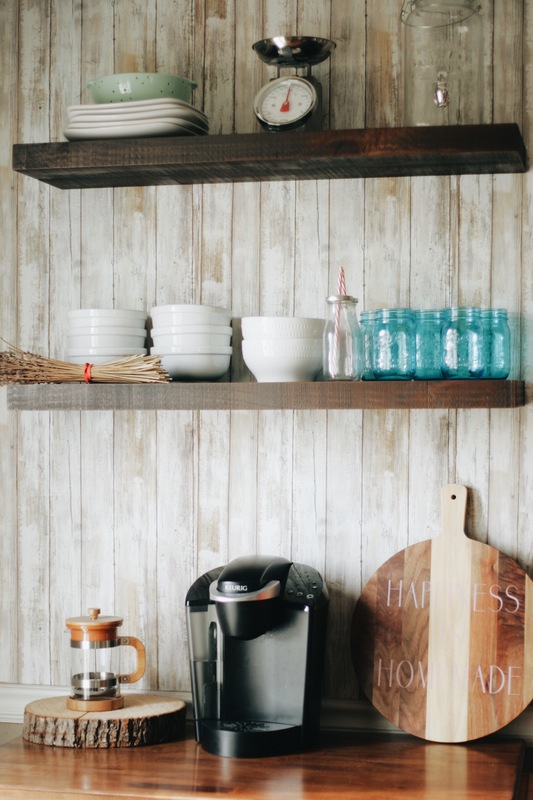 In any case, this was NOT my favorite corner in our kitchen and definitely the least photographed, ha! But… there is a hero to this story, and I can’t wait to tell you about this amazing product! I’m raising my hands in praise, just sayin’. 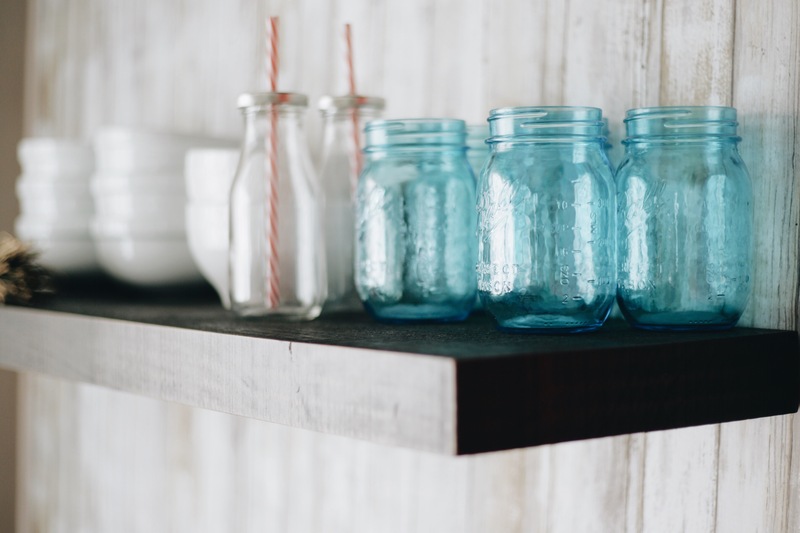 A few weeks ago, I was introduced to Shelfology and I very quickly became obsessed with their shelving and their method of securing them to the wall. 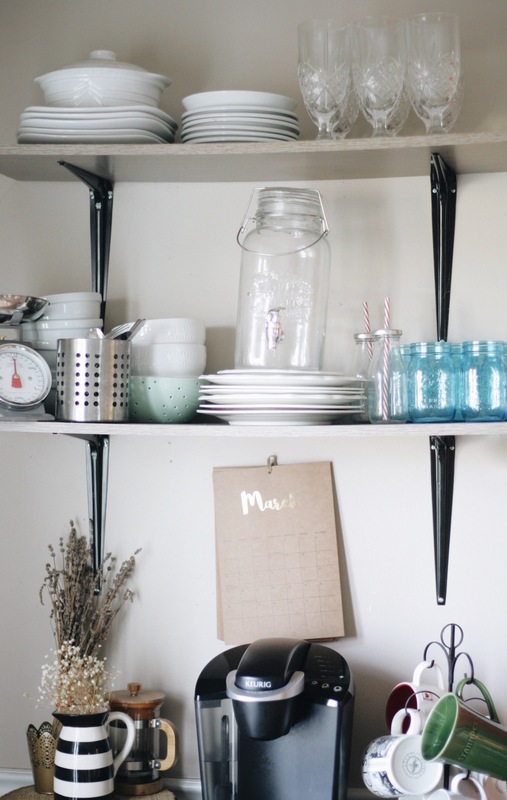 These beasts of brackets can hold so much weight, and it’s wonderful because the shelves are incredibly solid and sturdy. 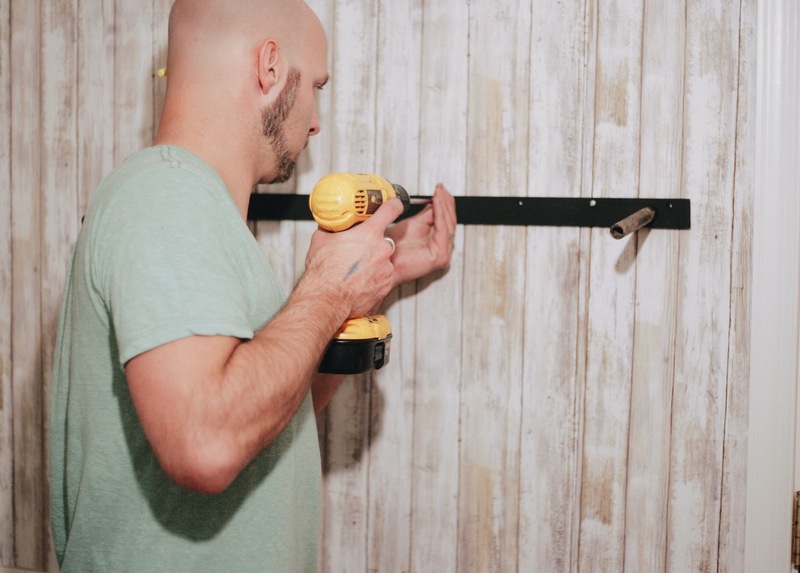 We opted for the floating brackets, because yes. 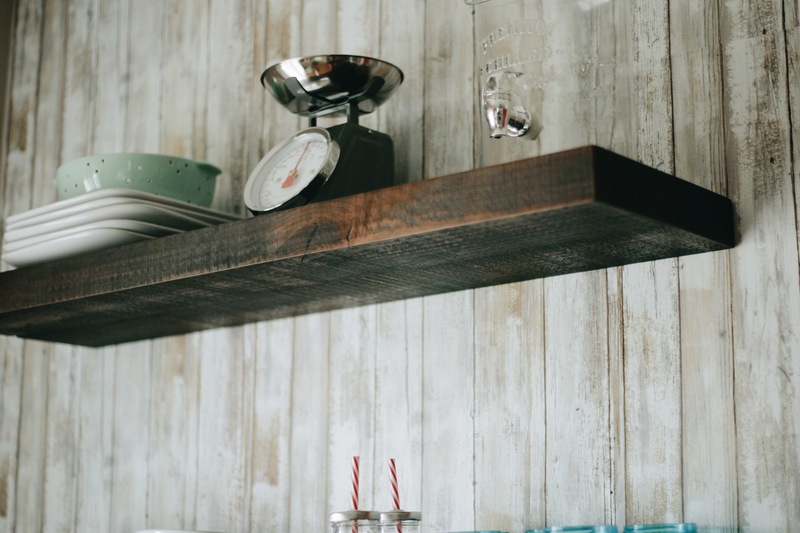 How gorgeous are floating shelves?! They’re also very easy to install. Aren’t these gorgeous, guys?! Oh I also added a little distressed wallpaper because I love wallpaper. It’s a thing. Don’t judge. 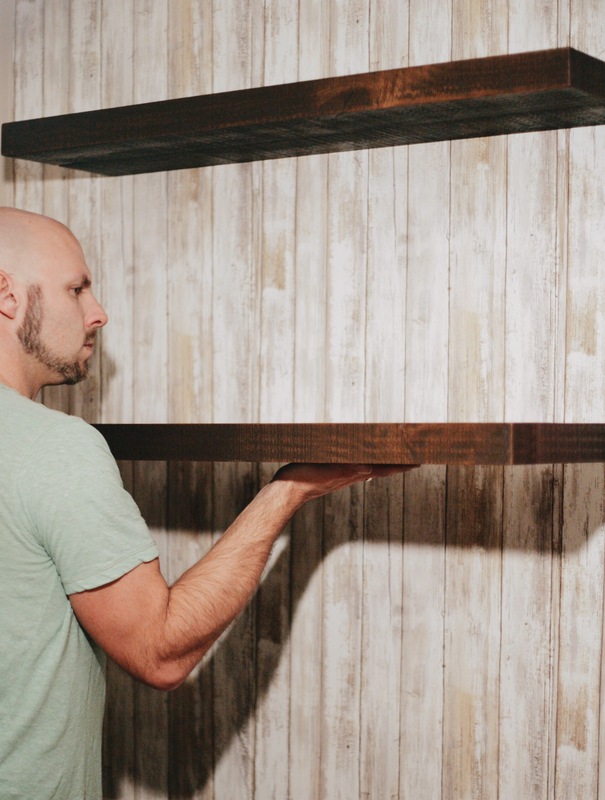 So are you ready to see how rad these shelves look when they’re all set up? I’m sooo happy with the final look. Such a huge difference! 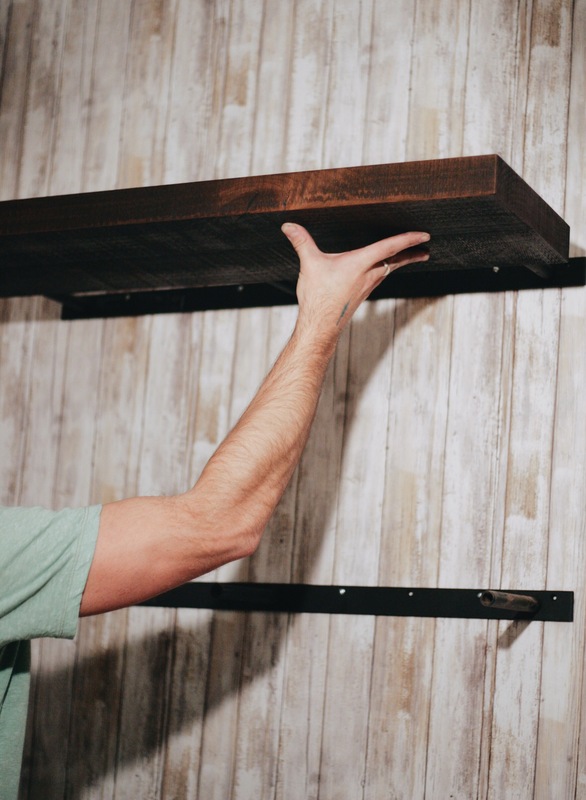 You guys need to run and check out Shelfology these beautifully designed shelves will make any space look a thousand percent improved.